Our 18 x 24 inch 720 piece puzzles are an easier to assemble version of our 1000 piece photo puzzles. The same 0.70” x 0.70” pieces, in an overall smaller format. Expect our trademark high definition print quality, durable pieces, and crisp steel rule die cut. 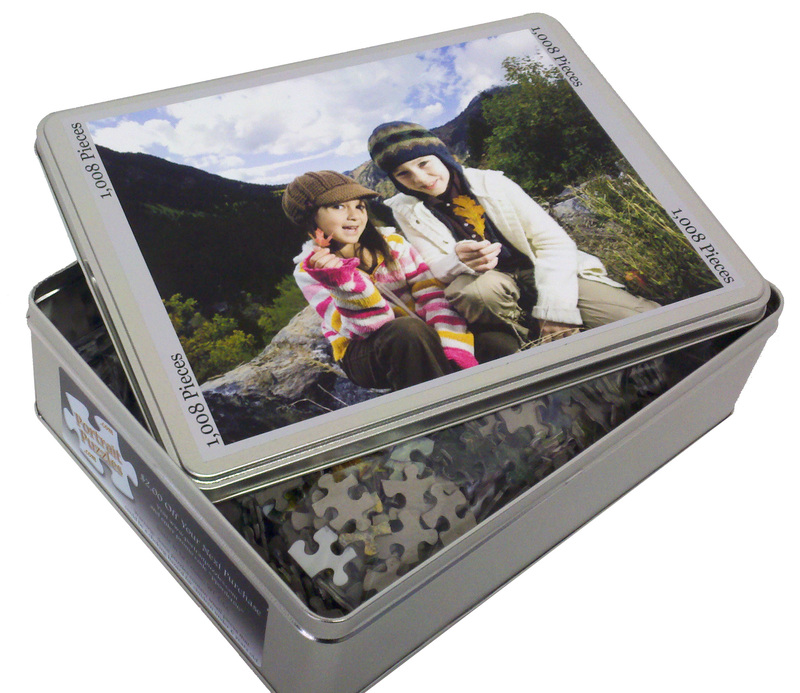 The 720 piece photo puzzles may be challenging to solve, but we make them easy to order! Click below and choose your photo. That’s it! 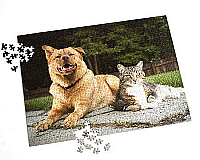 Our team of custom puzzle designers will size your image to the correct proportions. Your picture will create the best puzzle possible. We lay down your image in dazzling, vivid colors. The picture prints straight to sturdy puzzle board. This method assures the pieces will never peel or separate. Producing a puzzle that will stand the test of time. 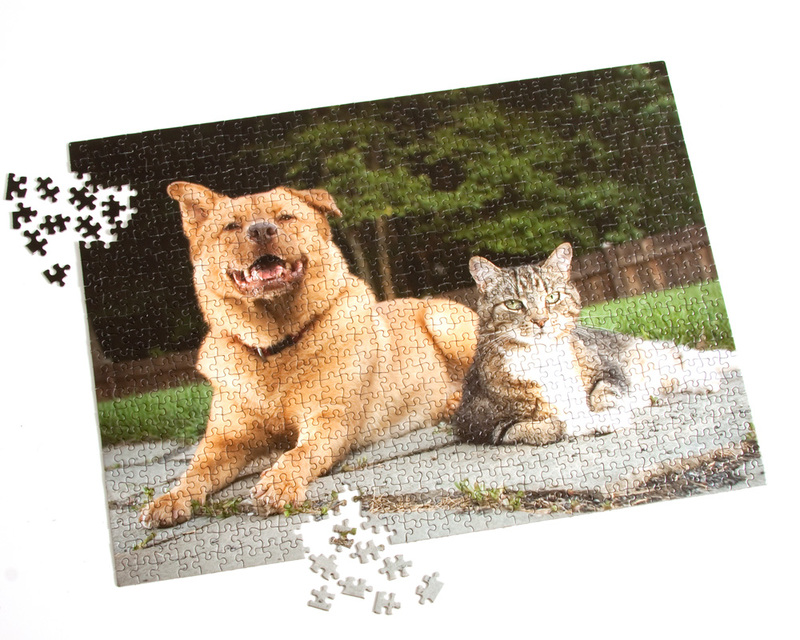 The custom 720 piece puzzles are press cut, giving an almost seamless fit when assembled. 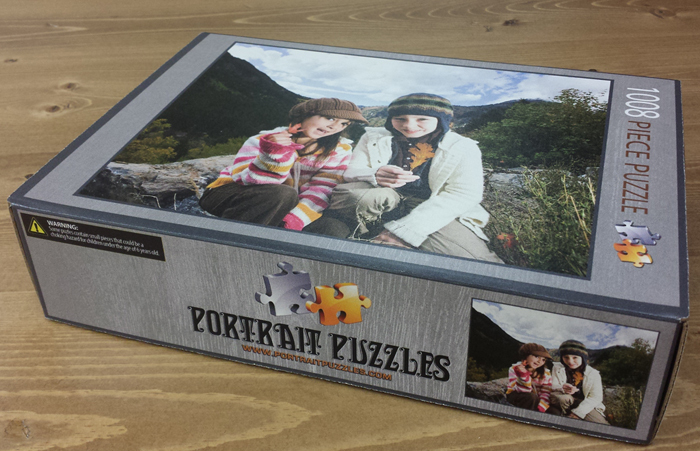 Portrait Puzzles ships your custom jigsaw puzzles the next business day. American made and delivered fast! You don’t have to wait for quality puzzles! All our products carry our exclusive guarantee. Satisfaction or your money back. Upload your photo to create your very own 720 piece puzzle.